"Campana" is a must see and is new on the market! She has been captain maintained to the highest level and is in absolute pristine condition. A testiment of how a true Grand Banks owner manages his vessel. 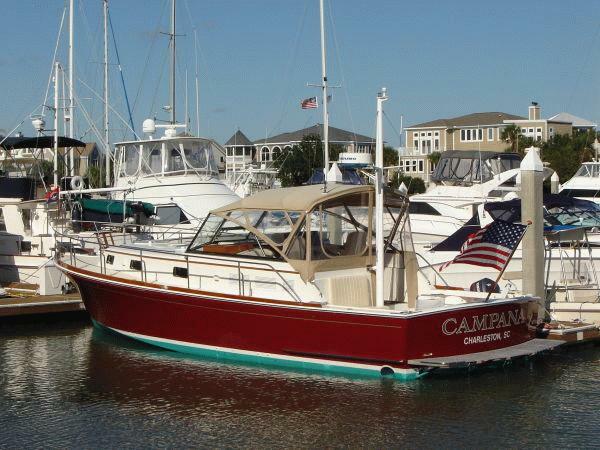 Weather you are cruising the ICW, heading offshore into heavy seas, or taking it light on the rivers or lakes this downeastern style vessel is the boat for you. Grand Banks offers superior quality and craftmanship. High Grade Stainless, Teak Decks and Swimplatform, Brightwork throughout, Full electronics, Hydraulic Engine Hatch, and many more features. Low hours on the engines and generator. Notable features include a queen size berth, a full size head/shower, and dual Stidd pilot chairs.